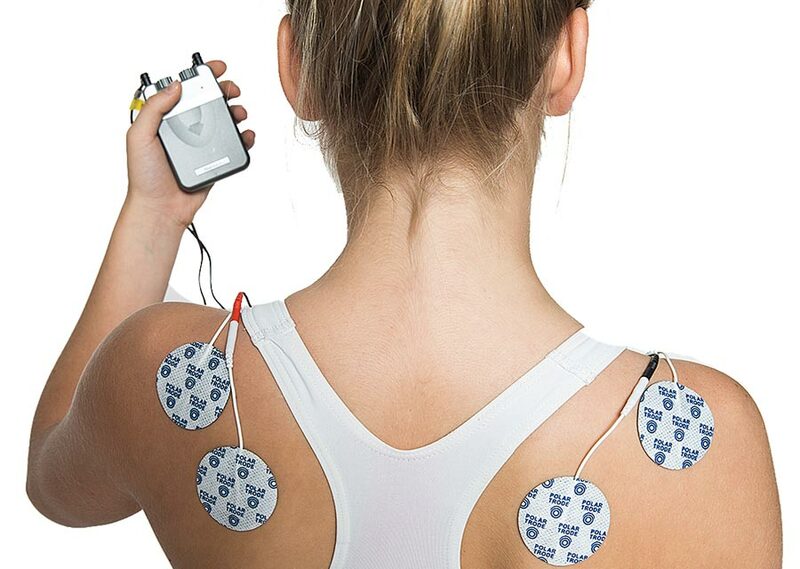 Polar Neurostimulation Electrodes are used with neurostimulation devices to reduce pain with a minor electric signal true the body, called TENS. Polar Neurostimulation Electrodes are used with neurostimulation devices, the electrodes have to used in pairs. The electrodes are placed on the body; a minor electric signal will send true the body and reduce nerve signals between the electrodes. This method is used for TENS and muscles-stimulations. Polar self-adhesive carbon film neurostimulation electrodes feature soft rubber lead wire attachments that make it easy to attach them to the electrode lead wires. A long lasting gel provides strong adhesion to the skin. Polar Trodes come in four convenient sizes. Each package has 2 pair’s electrodes, 4 in total. Sizes: 3cm round, 5cm square, 5x9cm rectangle. Do not: store in freezer/refrigerator, leave in extreme heat, submerges in water, or leave outside of the package. Care: After usage, if the electrode picks up small amounts of debris you may use a drop of water on your finger to gently rub the debris off the electrode. Most important to the care of the electrode is applying it to a clean surface with each use. DO NOT: Use soap, alcohol, submerge in water, or scrub with abrasive material. The number of applications depends entirely on the proper application, storage and care by the user. The durability of the electrodes depends on the adhesiveness of the gel and its adhesiveness depends on keeping the gel clean, hydrated and free from foreign debris. (Notes Axelgaard).